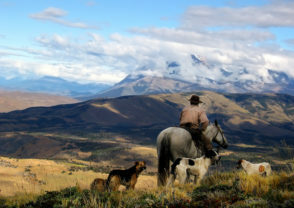 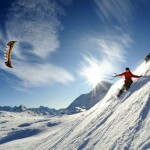 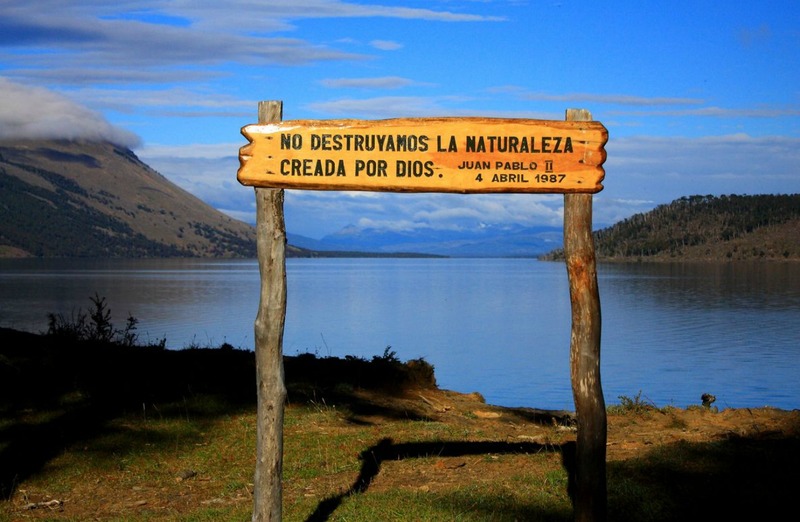 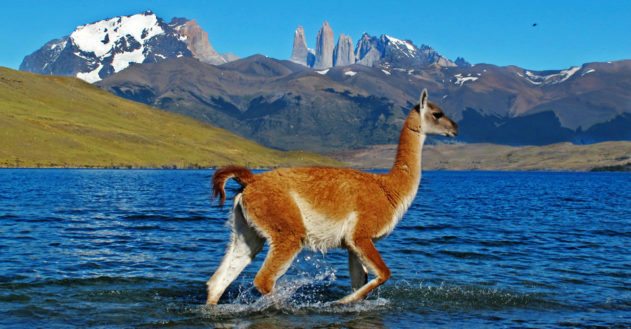 Today The Golden Scope will take you in you in Chile, more precisely in the beautiful and picturesque Patagonia. 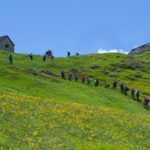 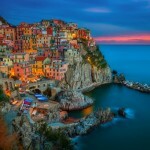 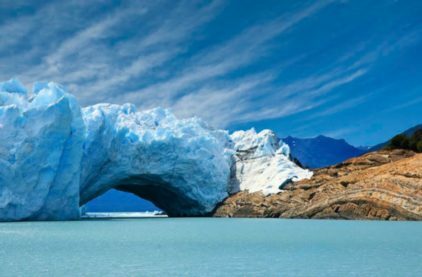 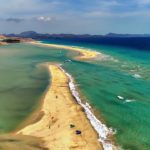 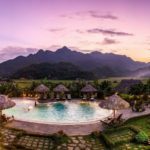 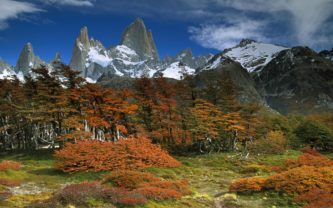 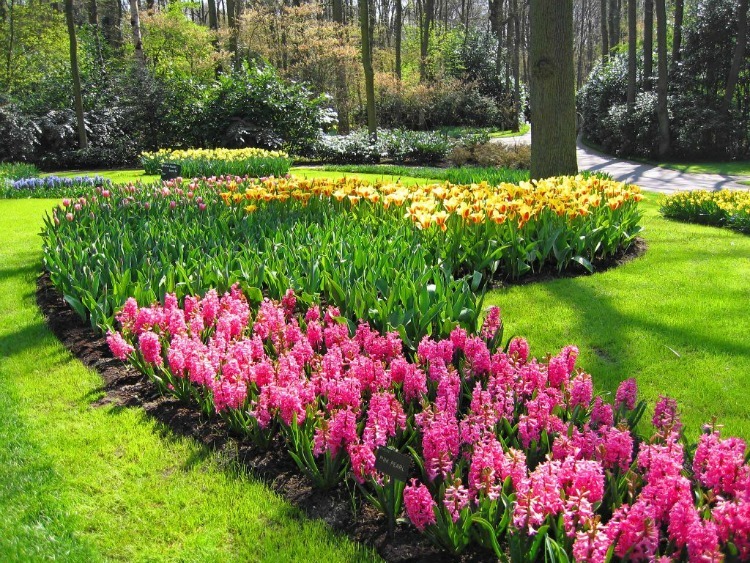 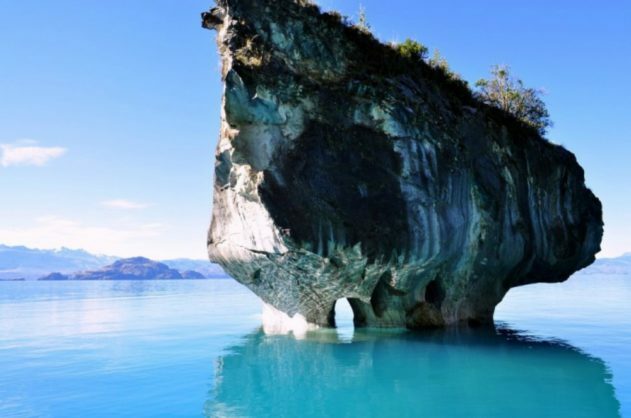 It’s located in the area on the border between Chile and Argentina, an area dominated by wild nature that enchants anyone who has the opportunity to visit. 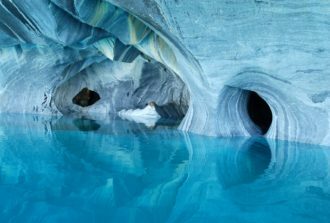 Contrary to what you might think from the title, the “Light Blue Cathedral” is not a building or a religious place but, it’s another amazing surprise that Mother Nature has created on our planet . 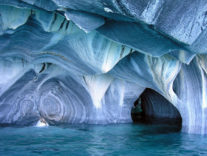 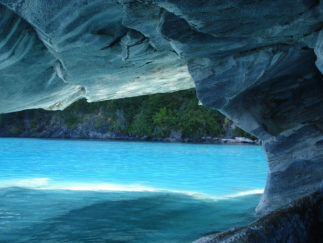 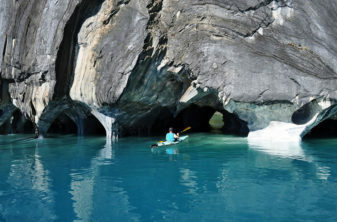 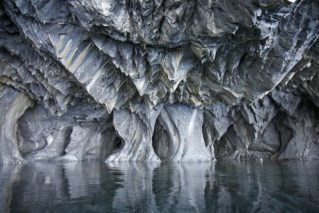 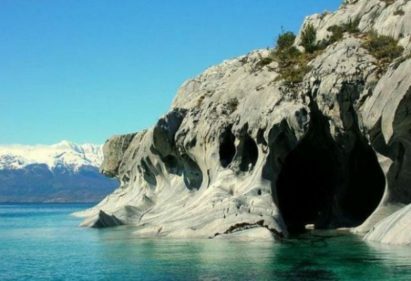 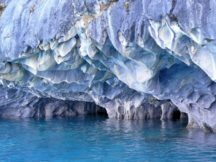 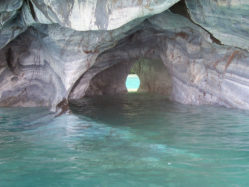 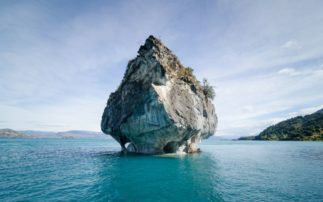 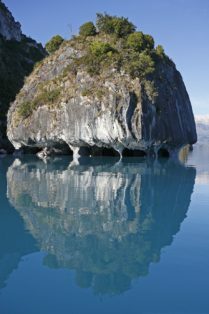 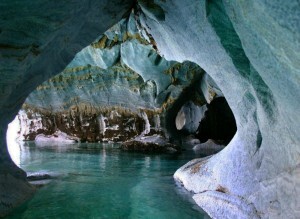 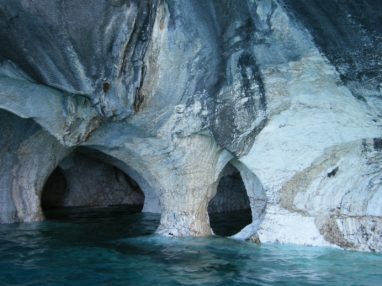 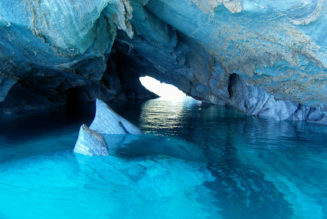 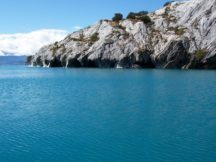 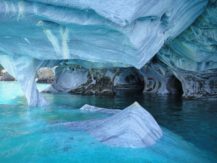 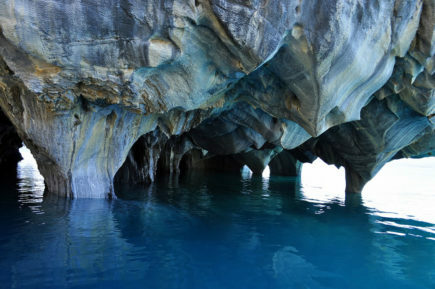 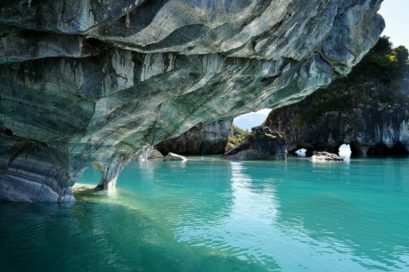 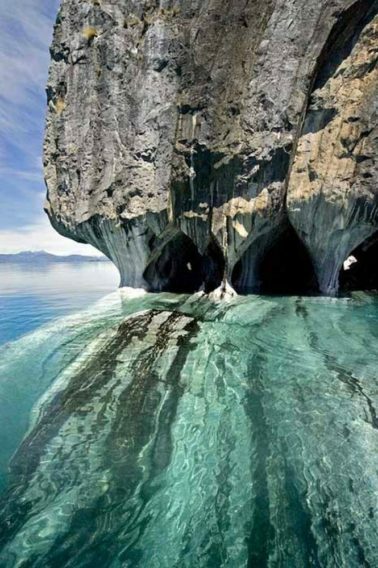 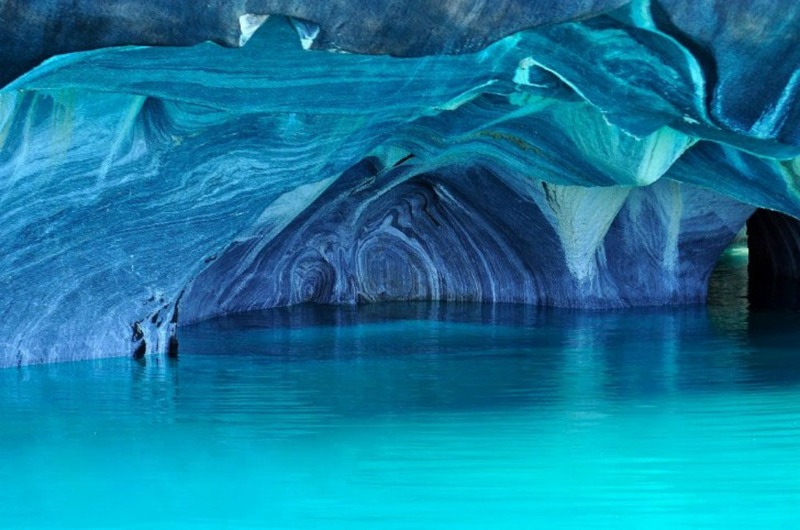 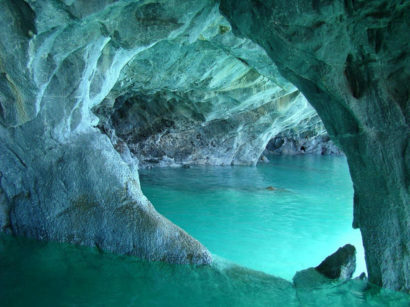 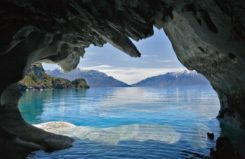 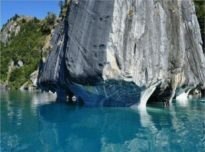 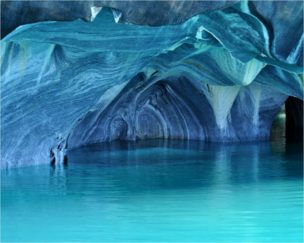 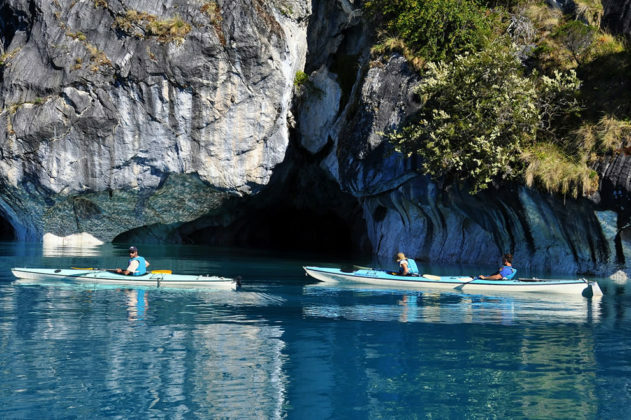 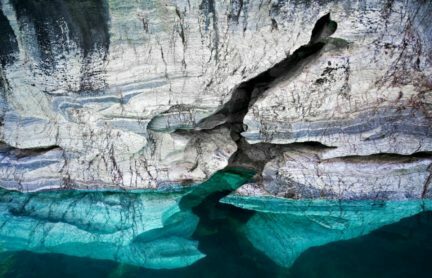 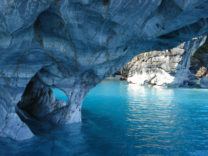 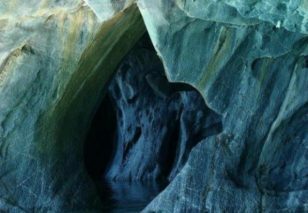 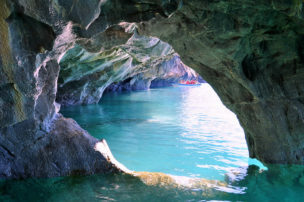 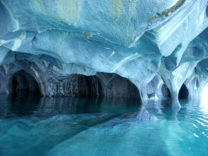 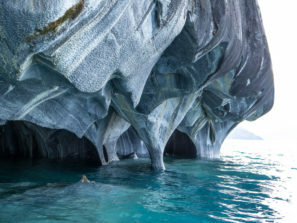 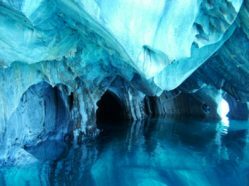 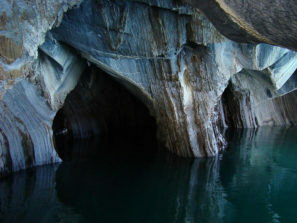 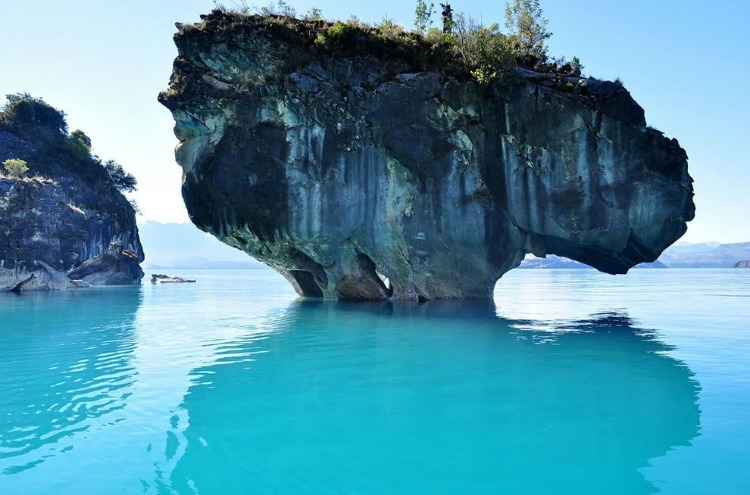 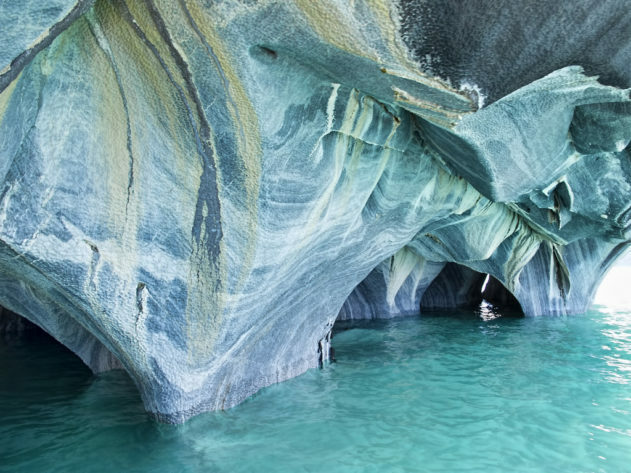 In fact, the Light Blue Cathedral, also known as the Cathedral of Marble, is a spectacular series of caves carved by centuries corrosive action of the lake’s waters; a lake named Lago General Carrera in the Chilean side and Lago Buenos Aires in the Argentina side. 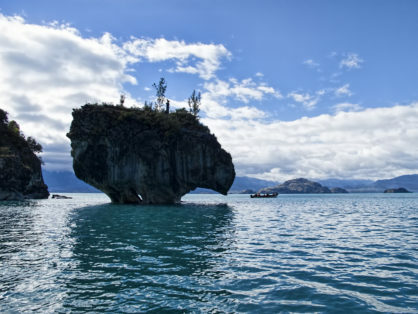 This lake has glacial origin, it originates from the Andes, and it is the second largest lake in South America, with its approximately 1.900 km2, after the most famous Lake Titicaca. 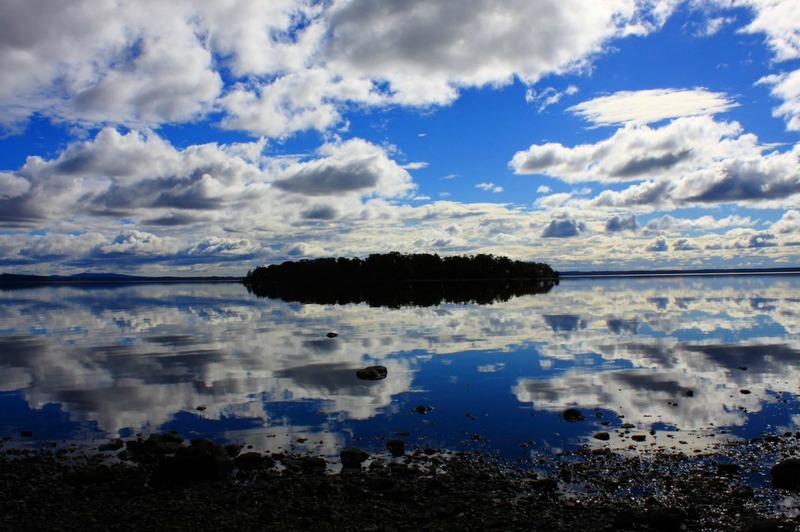 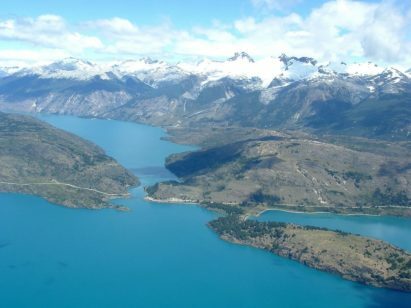 The particular blue color of its waters is due both to the reflection of clear sky Chilean both to a particular mud from Andean glaciers that feed the lake. 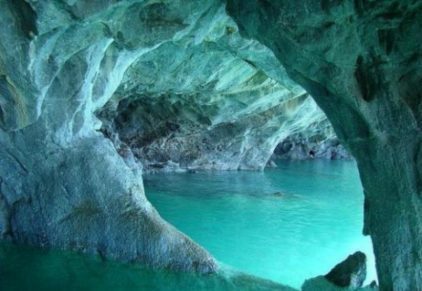 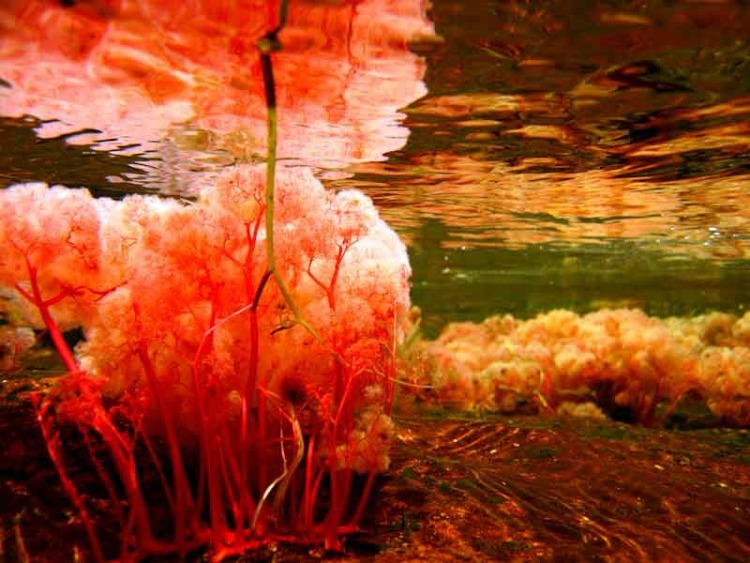 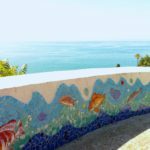 Also the color of the water is “shared” with the cave walls, creating, in the visitors who venture in the exploration of the these, the feeling of entering into an alien world….. 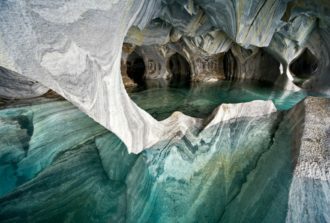 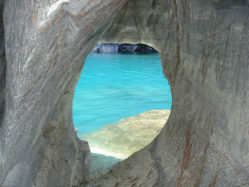 In this almost unreal world, everything becomes blue, also the boat or kayak with which you go through the maze of communicating caves and near the exit, the sun reflection can not differentiate where is the end of the blue water and where the marble walls begin…this is The Light Blue Cathedral, one of the many hidden wonders of our planet!